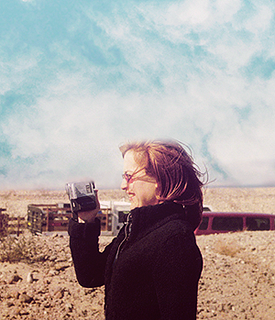 Scully properly documenting something important. In my ongoing quest to bring my dusty digital photos to light I found the perfect little nugget to share with the start of our season kicking off on Sunday. To me, nothing portrays the eternal optimism of a Browns fan than this guy. To set the scene, I was at a preseason game against the Jets with my pop, eagerly chatting about how obnoxious it was that Brett Favre was going to be the Jets quarterback when I saw this guy. I couldn't help but ask him if I could take his picture. At first his girlfriend was a little cranky but when she realized I just wasn't hitting on her man, she happily obliged. Browns fans are good like that. This fan sums it up perfectly. Every year as a Browns fan at the start of the season you tell yourself this is the year. This is *finally* the year that we win we whisper on Sunday mornings. So to all the fans that will be wearing their jerseys, buckeye necklaces with brown and orange beads and painting their face on Sunday, I salute you. Because friends, this could be it. I mean did you see the youtube clip of Weeden shooting down those clay pigeons? Maybe finally, finally, this is our year.